The fall enrollment numbers are in and Columbia International University is blessed with an increasing number of students to be educated from a biblical worldview to impact the nations with the message of Christ. Total enrollment at CIU now stands at over 1,200 students, a dramatic increase of over 15 percent from last fall. The growth comes from all levels of education: undergraduate, graduate and seminary, including online education. Enrollment for traditional residential undergraduate students has increased by over nine percent. CIU President Dr. Mark Smith is especially pleased that the average ACT and SAT scores along with the high school GPA (grade point average) of the freshman class are consistent with the averages of the previous freshman classes. Meanwhile, graduate and seminary enrollment is up by almost 12 percent compared to the Fall 2017 numbers. Similarly, CIU’s online student enrollment has increased by 26 percent when compared to the Fall 2017 enrollment. CIU Vice President for Enrollment and Marketing, Silvia Lucaschi-Decker attributes the increases to robust marketing campaigns, a well-trained and dedicated admissions team eager to follow up with prospective students and an overall creative and adaptable mindset espoused by both staff and faculty. Of special note is the large increase in dual enrollment students. 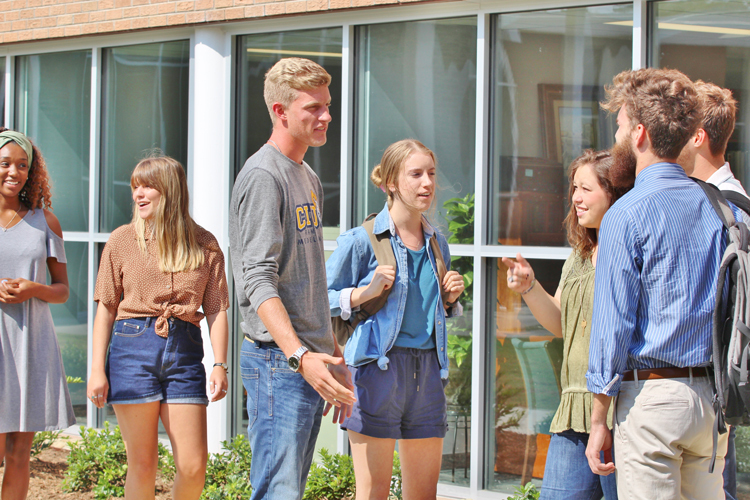 Last school year there were six high school students enrolled in CIU. This school year there are 60, many of them coming from Ben Lippen School, CIU’s Pre-K to 12th grade Christian school. Ben Lippen has seen its own dramatic increase in day student enrollment, up 15 percent over last school year. Of particular note is the St. Andrews Road Lower School location growing from 62 students two years ago to 122 students today. The increase of students has created quite a buzz across the CIU/Ben Lippen campus. As CIU freshman Camille Cruz was unpacking her suitcase on move-in day, she expressed her enthusiasm for her home away from home. “I’m excited about starting a new phase of my life and being in a community of people who are after God’s own heart," Cruz said. Not only is CIU is experiencing growth in enrollment, $25 million in campus expansion continues. More information on enrollment is available here or call (800) 777-2227, ext. 5024.